The Huffington Post is reporting that Texas Governor Rick Perry is threatening to secede from the United States. Citing the tax burden of President Obama's economic stimulus he said that "there's a lot of different scenarios." "We've got a great union. There's absolutely no reason to dissolve it. But if Washington continues to thumb their nose at the American people, you know, who knows what might come out of that. 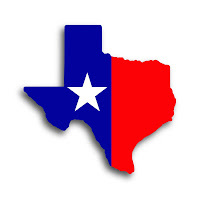 But Texas is a very unique place, and we're a pretty independent lot to boot." Do the words good riddance spring to mind?